Klirich® is an oral gel developed with natural ingredients. Patented and made in France, Klirich® answers to the multiple problems of the oral cavity and gums. Klirich® is a periodontal oral gel for application in adult's oral cavity to decrease inflammatory condition like gingivitis and bleeding. 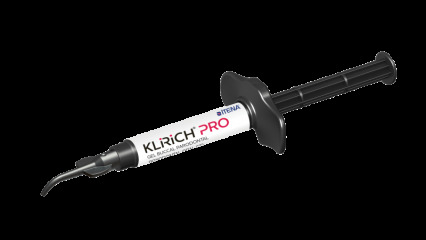 Klirich® Pro is proposed in kit of 2 syringes of 3 ml with 12 tips. Easy of use thanks to its tip ultra soft in silicone, it becomes the ideal ally of the dentists who wishes to help their patients suffering from oral affections. A periodontal tip is also available. 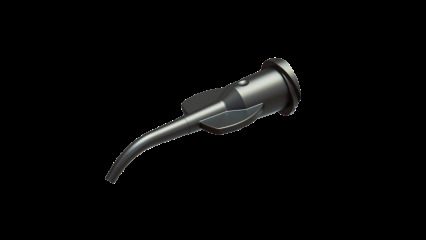 Thanks to its applicator pen, Klirich® allows the patients to complete the application made in office. Available in prize of 3, the dentist offers the possibility to his patient to maximize the effects of Klirich® further to the consultation.